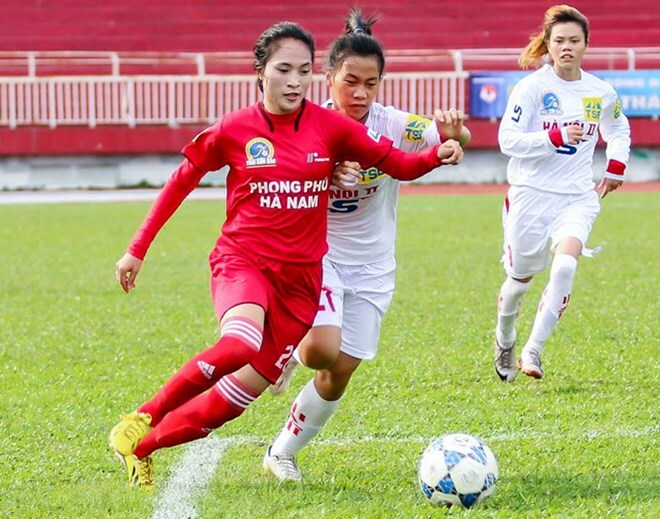 Hanoi (VNA) – Vietnam will play two friendly matches with Myanmar ahead of the second round of the 2020 AFC Women's Olympic Qualifying Tournament, according to the Vietnam Football Federation. Head coach Mai Duc Chung and his 24 players will arrive in Myanmar on March 18 for friendlies on March 21 and 23. The 2020 AFC Women's Olympic Qualifying Tournament, organised by the Asian Football Confederation (AFC), decides which Asian women's national teams will qualify for the Olympic football tournament. The top two teams of the tournament will qualify for the 2020 Tokyo Olympics women's football tournament in Japan as the AFC representatives, along with hosts Japan. In the second round of qualifying, Vietnam are in Group B with Jordan, Hong Kong and Uzbekistan. Both Jordan and Uzbekistan are the holders of women's championships in the West Asian and Central Asian Football Associations, respectively.